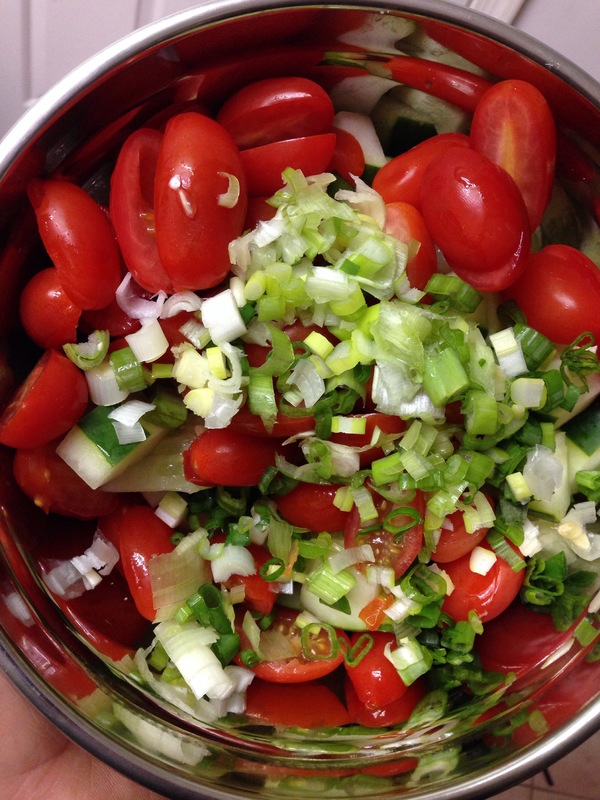 I’m going to share three simple steps to make a healthy, delicious and filling cucumber salad. I eat this salad a lot because the ingredients are easy to get my hands on and it’s yummy and filling. 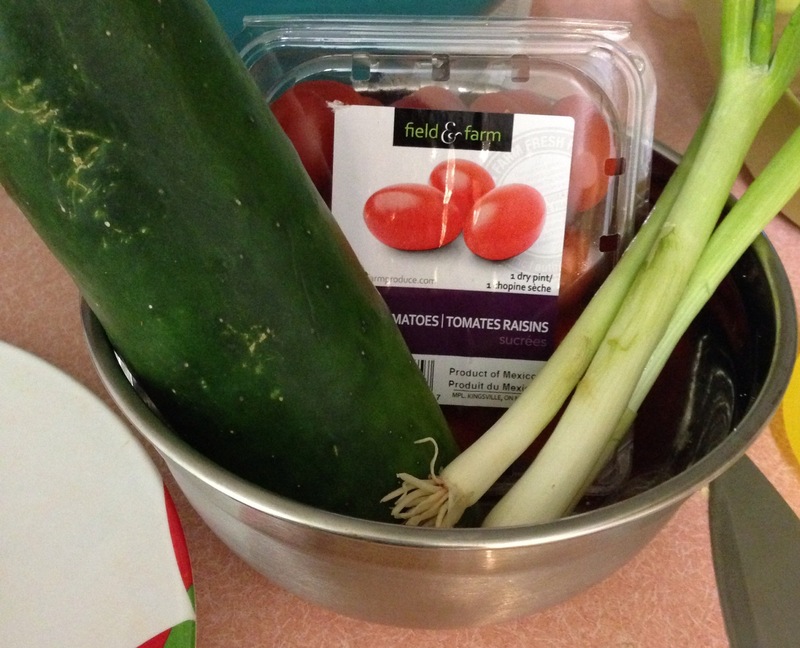 Chop up your veggies and combine in a bowl with a top. Sometimes I peel my cucumbers, sometimes I choose to be a rebel and leave the skin on. It’s your choice. 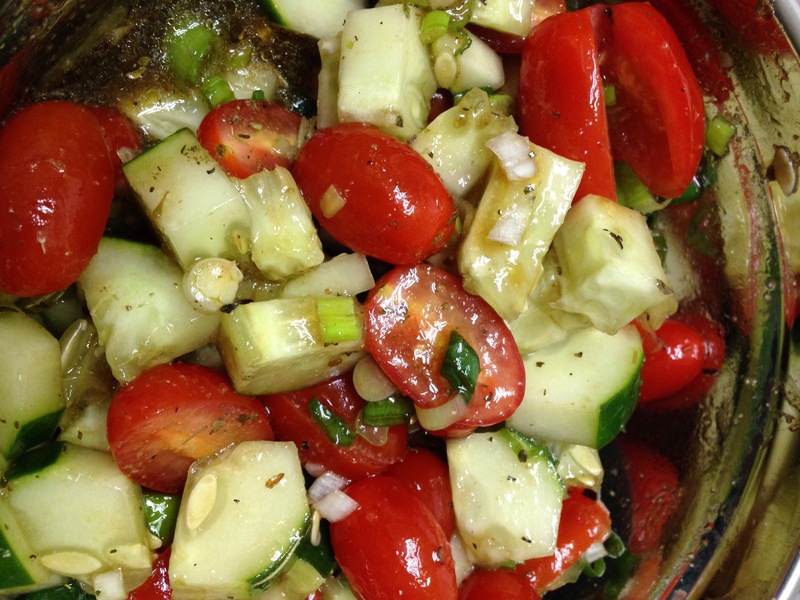 Make a quick dressing from the vinegar, oil, agave, garlic and Italian seasoning. Adjust your amounts to suit your taste…or your mood…tangy? sweet? zippy!? Pour your mixture over your veggies. Give it a good toss and refrigerate…or eat a bowl straight away. It’s your choice darling. Side note: The longer this salad hangs out together in the fridge the better it’ll taste. Previous Post Yumminess. Pumpkin soup and Rosemary steak dip sandwiches. Next Post How to use old bananas.